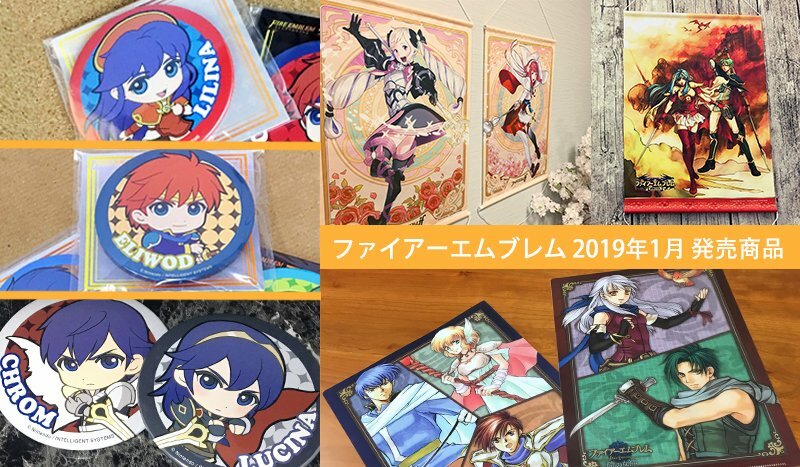 Who’s ready for another dealing of official Fire Emblem merchandise? 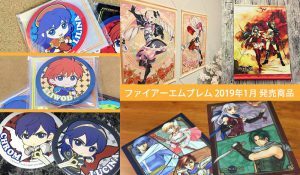 Intelligent Systems sure are, because they’ve announced another wave of merchandise arriving in February 2019. In case you missed it, new merchandise will also be arriving in December of this year and January of 2019. All of this stuff is exclusive to Japan, but you can always import them from sites like AmiAmi and CDJapan. Anyway, time for the lowdown! 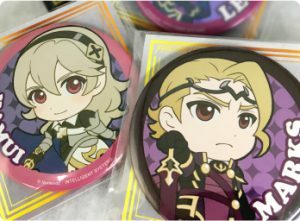 This time, only two new badges have been added: female Corrin and Xander. As usual, these 75 mm badges are great for wearing or just collecting. Out of nowhere, Intelligent Systems has announced that an original soundtrack (OST) dedicated to the Elibe duology, Binding Blade and Blazing Blade, will be coming out on 19th December 2018 in Japan. 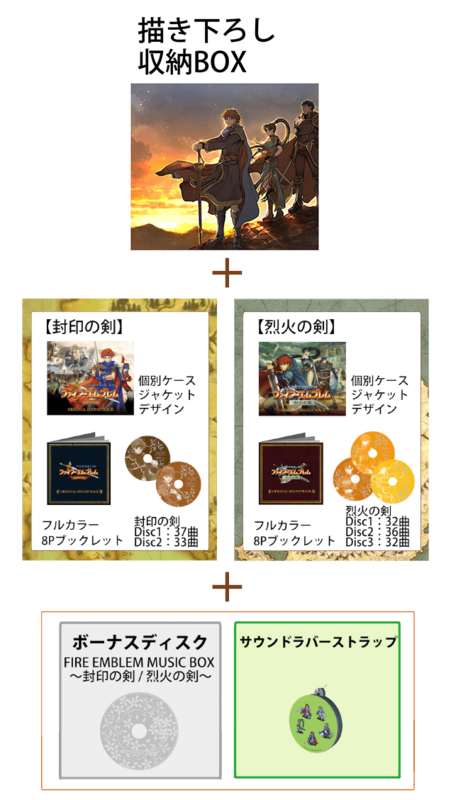 This is particularly notable since the original games came out 15 years ago (wow, it’s been that long…) and a full OST was never sold, although a partial soundtrack was bundled with an artbook. 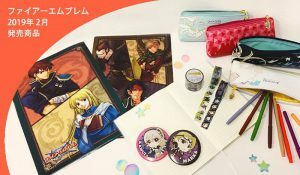 However do note that this release doesn’t mean anything special, because Path of Radiance and Radiant Dawn soundtracks were released in 2015–and nothing special happened back then. Presumably, Intelligent Systems is simply capitalising on the fan demand growing over the years. Currently the only games missing official soundtracks are The Sacred Stones and New Mystery of the Emblem. A collector’s box, to fit in both games’ soundtracks, with brand new artwork. 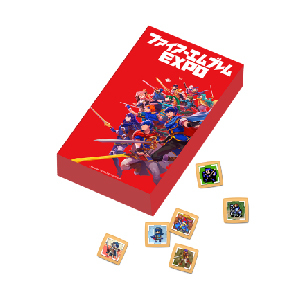 Jewel cases for each game featuring the game’s box art. A full colour 8-page booklet for both games. 5 CDs featuring a total of 170 tracks between the two games. A bonus “Music Box” CD that has 10 music box style arrangements. A sound rubber strap that plays a variety of sound effects from the games. The whole thing costs 5,200 Yen including tax (about 46 dollars). For more details, please check Intelligent System’s page here. Below you can find the track listing in English.